Feed this feed as a free choice supplement to breeding sheep and goats on native, or improved, pasture forage to help maintain body condition and productivity. Consumption should be in the range of 0.5 to 1.5 pounds per head per day for sheep and goats. When starting animals on supplements, be sure to begin feeding at low amounts and allow them to adapt to the new feed inputs. Natural Protein The protein source for this supplement is from all natural plant sources to provide quality protein for your livestock’s productivity and gains. 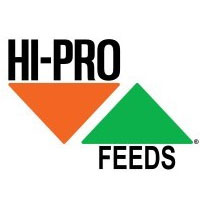 Moderate Firmness This block has a moderate level of firmness so that your animals can consumer a sufficient amount to provide the nutrients they need to remain productive when forage conditions warrant supplementation. 0.90% Phosphorus Phosphorus is added to this supplement to help your livestock in reproduction and the many digestive and bodily functions that depend on phosphorus. Low Copper There is no added copper to this supplement so it can be fed to your livestock without fear of your sheep getting too much copper. It can also be the primary supplement for sheep alone on native pasture. The copper levels in this feed are the result of natural copper levels in the feed ingredients. Vitamin A A high level of vitamin A is added to this supplement to insure that your livestock receive a sufficient amount for the many functions influenced by vitamin A such as eyesight, reproduction, and overall health. Feed free choice with adequate supply of roughage. Allow one block for each five (5) head of cattle or twenty-five (25) head of sheep or goats. Distribute blocks over large enough area to prevent crowding of livestock. Distance from water will help control consumption. Blocks may be strung out from water in the direction livestock are desired to graze. Blocks may be placed in underutilized parts of the pasture. Feed on well-drained ground or in troughs. Supplies protein to improve forage digestibility. Micro flora in the rumen are provided the needed protein to digest dormant or poor quality forage. Formulated for beef cattle, goats and sheep. Animals are provided needed protein and energy for efficient production. Added phosphorus. Provides extra phosphorus for growth and reproduction. Trace mineral fortified. Provides essential trace minerals zinc, selenium, manganese, iodine, and cobalt. Vitamin A supplemented. Provides essential vitamin A necessary for support of growth, health and reproduction.